Women are attracted to men who have similar odours as their fathers. According to scientist, “Women can actually smell genetic differences,” said Dr Martha K McClintock, a co-author of a study written with lead investigator Suma Jacob and Carole Ober, a University of Chicago professor of human genetics. Seems like a bond between father and daughter is unbreakable! BUT if you think that dad’s sporty smell doesn’t suit your nose then get rid of those manly odours by washing his sports gear in FungiSolve. With leading scientists, Karin developed FungiSolve, a concentrated, economical laundry solution which decontaminates any materials, even in cold water, in washing or soaking. Making Medipod a lead proudly South African, environmentally friendly product. In SABS tests, FungiSolve has been shown to be a potent decontaminator. Scientific tests prove that FungiSolve will not damage cloth, dye colour or stitching of expensive sports shoes and clothes. 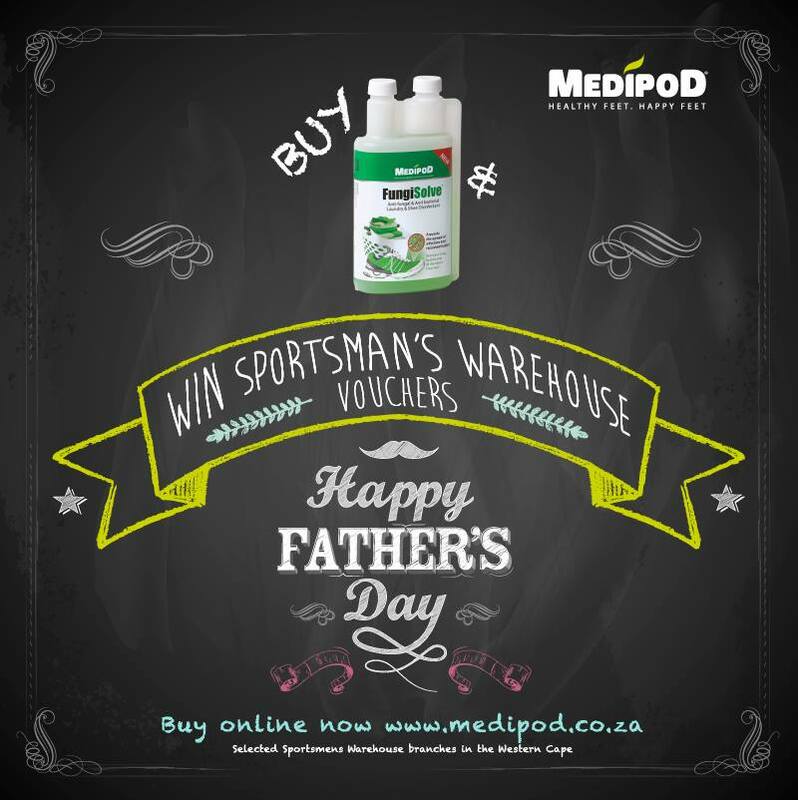 So buy FungiSolve on-line today as a Father’s day gift and stand a chance to WIN Sportsman’s Warehouse vouchers.